Exquisitely designed marble fountains are undoubtedly the best architectural ornament that you can have. Your garden instantly gets that lively and attractive look. Relax your mind and soul by sitting besides this alluring fountain. 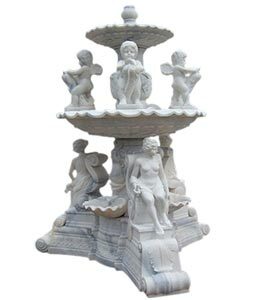 Creatively designed from the natural stone marble, these fountains look marvelous and give a unique touch of class to your home decor. Browse through our impressive range of beautifully crafted marble fountains and introduce melodious and soothing atmosphere to your home.